Sailingdipity: Sushi and YAHTZEE Anyone? Some of our sushi rolls and chopsticks. Last night Jake and I had some friends over for a special dinner. Our friends have been impressed that we make our own sushi for lunches and dinners and have wanted to learn how to make it. So Jake and I had each person put in some money, we bought the supplies, and held a small sushi class on our boat. It was fun to share a new experience with our friends. Jake was the main chef, teaching the details of making sushi rice, wasabi, cutting the fish, mixing spicy tuna, and teaching them everything they need to know about how to make their own sushi on this island. Jake and I have found the best places to purchase the fish, the nori, the rice, etc. because sushi is one of our favorite meals. 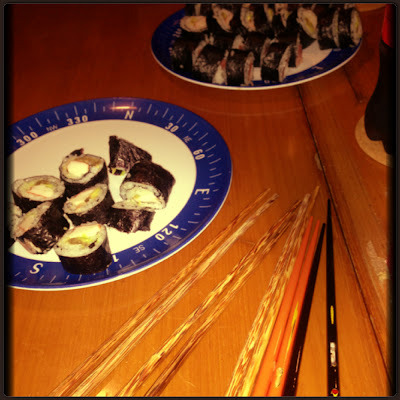 We made California rolls, spicy tuna rolls, salmon rolls, and then a few random ingredients in others. They were delicious. 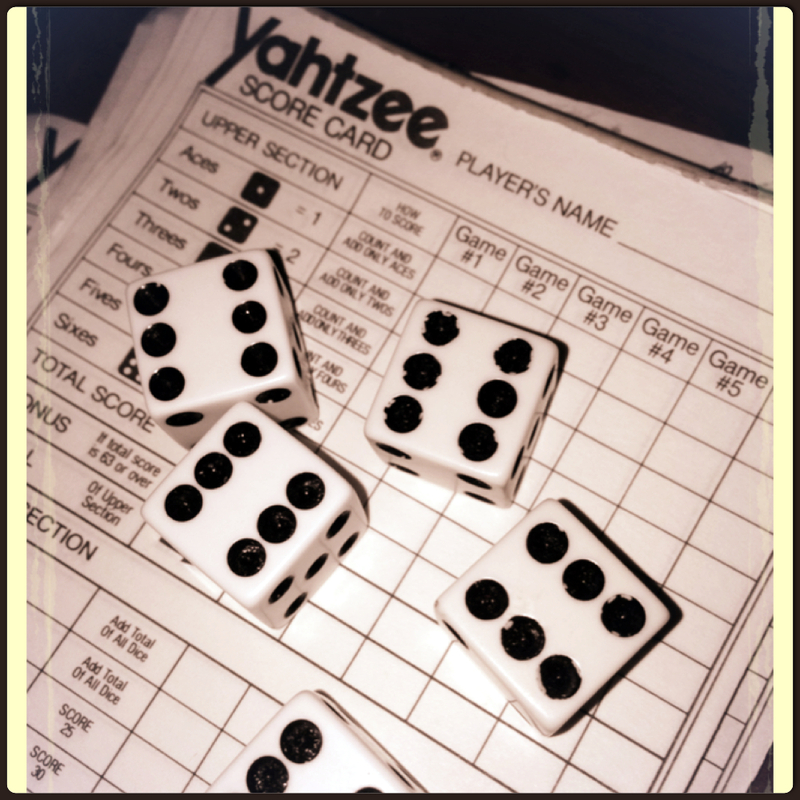 After dinner we cleaned up and enjoyed a fun filled game of YAHTZEE! We are starting to love that game. We have been playing it often and it is always a good time. Last night was a great night with great people. Glad we had the opportunity to share our knowledge and talent with our friends and have such wonderful company. Addicted to this game. So fun! Work. Life. The Way Things Are Going.